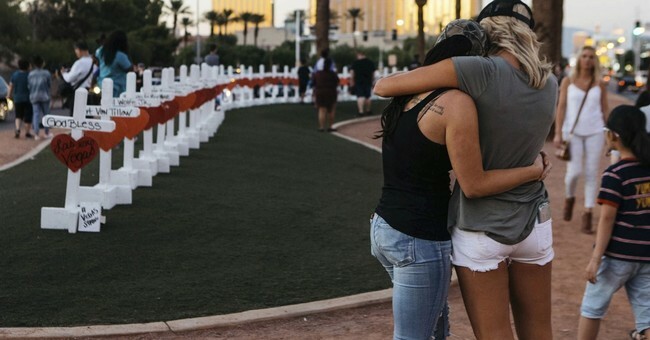 Witnessing a mass shooting is something no one ever wants to experience. For some survivors of Thursday's shooting at the Borderline Bar in Thousands Oaks, CA, it was their second time seeing innocent people gunned down. Twelve people were killed Wednesday night, including Sgt. Ron Helus, who rushed to the scene. Ventura County Sheriff Geoff Dean choked up this morning remembering the officer, who was soon set to retire. A lengthy procession was held for him Thursday. Nicholas Champion was one of several people at Wednesday's "Country Night" at the Borderline Bar who also attended the Las Vegas Route 91 country music festival in 2017 when dozens of rounds of gunfire rained down on the crowd from a hotel window. The gunman, Stephen Paddock, killed 58 concertgoers that day. It was the unimaginable - twice. Chandler Gunn also remarked on the impossibility of his friends going through it again. “Even though I’ll never be as comfortable again in that kind of setting - whether it’s concerts, clubs, bars, anything where there’s a big group of people in any kind of confined space, I’m never going to be as comfortable again,” Champion said. “But it’s not going to stop me, and I don’t want to let fear change the way I live.